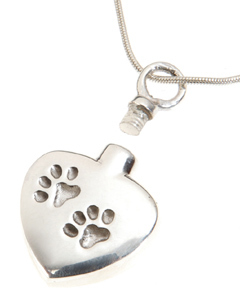 This beautiful pet urn necklace comes in a heart or round shape with a lovely paw prints design indented into the pendant. This gorgeous pet ashes jewellery is the perfect way to discreetly keep a token amount of pet ashes or other keepsake with you always. 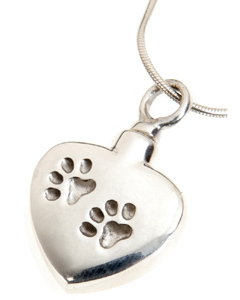 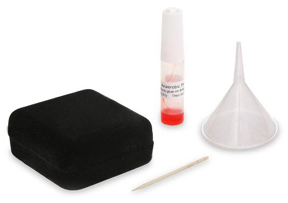 Can be filled with a small portion of a beloved dog or pet's ashes. 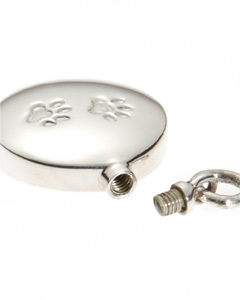 The pendant is a tiny urn that can take a small portion of ashes or other small keepsake. 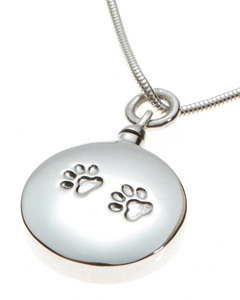 A beautiful necklace so that my lovely Lou is with me every day, he sadly passed away after losing his battle with diabetes and it is a way of keeping him with me always.